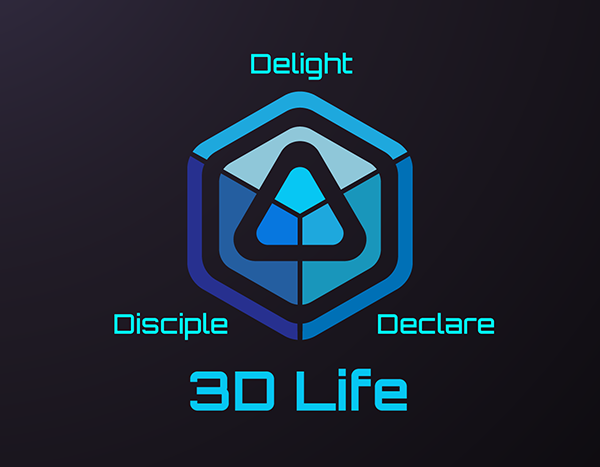 Our Youth Ministry is about living life in 3D: Delighting in God, Declaring Jesus, and Discipling All People. Delighting in God is the fuel that motivates us to learn, grow, and declare the Good News of Jesus Christ to our friends and family. Declaring Jesus is something that every Christian young and old is called to do (Matthew 28:18-20). We can't be a Christian if we don't believe the Gospel and if we really believe this "Good News" we should share it with our friends and family. Discipling and being discipled is another core part of following Christ. The more we learn about Christ, the more we become like Christ. The more we become like Christ, the more we will delight in God, and that will keep the fuel burning. On Sundays, students gather into small groups where we get to study and talk about the Word (often with coffee and donuts in hand). After the lesson we take prayer requests and pray for each other. Being in a small group is important for adults and students because small groups are the glue where a lot or relationships are built. Small groups are one of the better ways to really get to know a church and get connected. So we encourage everyone young and old to get plugged in. A typical Wednesday night service will involve singing with the church as a whole and then breaking off into youth group to study the Word. We like to dig in deep to really understand what God is saying. We also take time to ask and answer deep questions about God and life. If students don't wrestle with these hard questions now, under godly teaching, then they will have to wrestle with them as they get older. On the first Wednesday night of the month students will meet in the Youth Building and spend time devoted to singing and praying to the Lord. As students pray they will be taught on particular aspects of prayer, learn why we pray, and get to experience prayer as they call out to God. We do youth events at least once a month and sometimes more. Students need that time to fellowship and build relationships. We have game nights, bowling, special youth worship events, pool parties, and hanging out the Youth Pastors house. We also participate in missional activities like packing a shoebox for Operation Christmas Child or a service project for our church wide Month of Missions. Students, like everyone, need a time to unplug from the busy pace of life. Retreats and Camps give students the chance to silence all of the noise and to be saturated in the presence of God. We often see many of the breakthrough moments in our students lives come as a result of camp. Students that felt disconnected from God or even feuding with other students often leave refreshed and with new friends instead of enemies. There is something about camps and retreats that allows us to reconnect with God and each other.